The color and value gradations in ombre fabrics make sophisticated color and shading transitions possible in classic blocks like the Log Cabin. 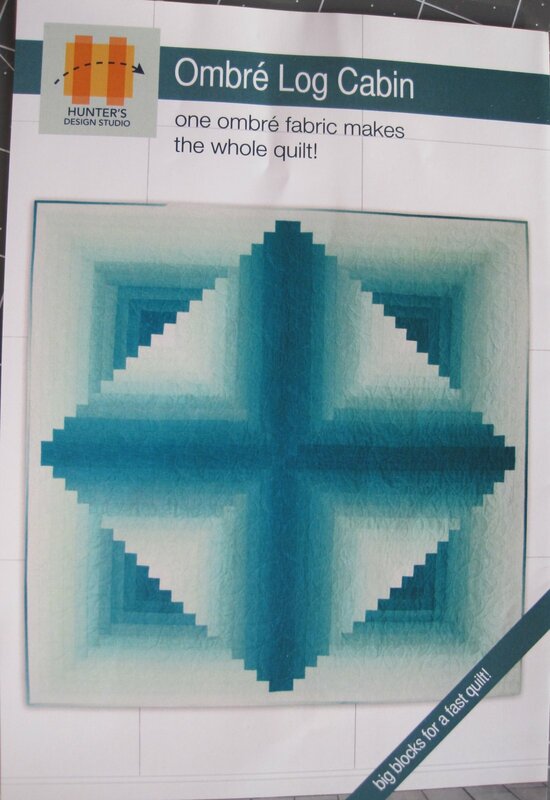 In this quilt, the ombre shading makes the Log Cabin glow. The blocks are large scale for dramatic impact and a faster sew! Various finished sizes are possible. One fabric creates the whole quilt!